Milling for Home Machinists is a project-based course that provides a complete introduction to milling and the use of the milling machine. It assumes no prior knowledge and works through the process of using a home shop mill from beginning to end. The reader advances through a series of practice projects that teach how to use the milling machine and develop essential skills through practical application. This book takes beginners through all of the basic techniques needed to tackle a wide range of machining operations. A getting started section reviews the necessary tools and equipment. Four minor and four major milling projects are provided that provide the opportunity to gain basic skills, and then use that expertise to build a series of useful and increasingly complex tools. Each project is designed to develop essential milling machine skills that the reader will use again and again in the future. Milling machine owners with more advanced skills will find new ways to expand their workshops. The wide range of projects provides items that are both useful and interesting to make, including an angle plate, clamps, parallels, boring head, dividing head, a grinding tool holder, and an excellent milling cutter sharpener. Some of the items such as the grinding rest and its accessories are not available commercially, making the book even more valuable for workshop owners of all abilities. 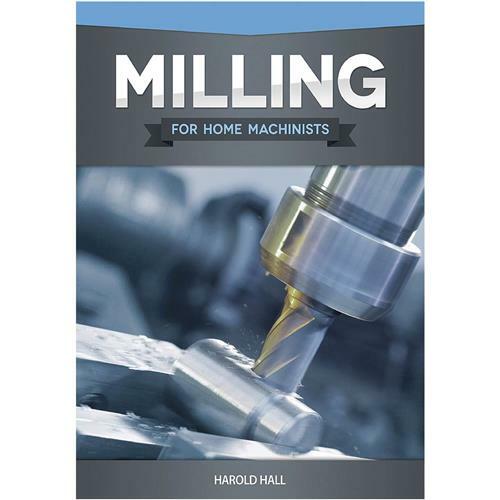 Buyers of this book not only get a training manual on using the milling machine, but also receive practical instruction on how to apply the knowledge that it presents. Softcover, 136 pages. Great book. Easy to read and understand. Valuable information for the beginner or pro. Thanks Grizzly!